THURSDAY, Feb. 23, 2017 (HealthDay News) -- Some doctors may order a pricey ultrasound treatment -- low-intensity pulsed ultrasound (LIPUS) -- to help speed the healing of broken bones. But an international panel of experts now says there's little evidence to support the procedure. "We have moderate to high certainty of a lack of benefit for outcomes important to patients, and, combined with the high costs of treatment, LIPUS represents an inefficient use of limited health care resources," concluded the panel. The group is made up of bone surgeons, physical therapists and doctors, as well as patients who've had broken bones. The panel conducted a detailed analysis of the most up-to-date data on the subject, and published its conclusions Feb. 21 in the BMJ medical journal. According to the panel, up to 10 percent of people who suffer a broken bone face slow or complicated healing. 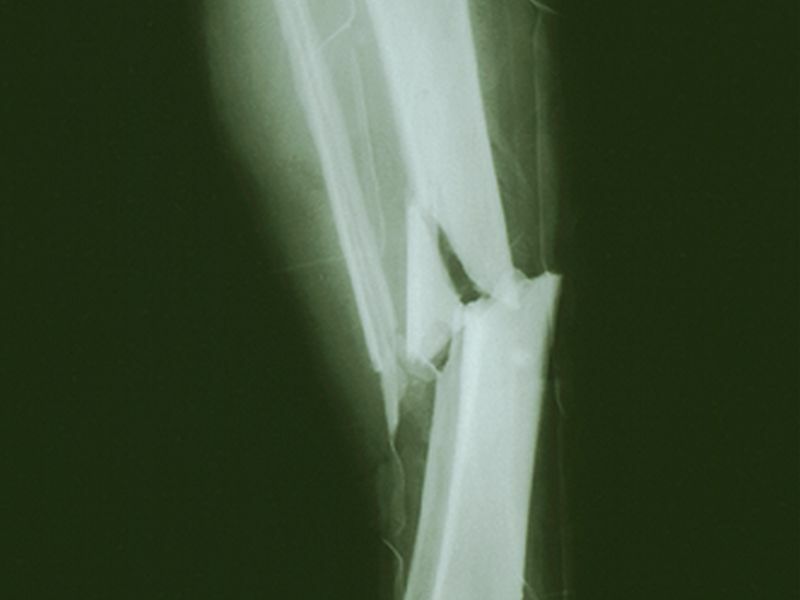 In 1994, the U.S. Food and Drug Administration approved LIPUS as a fracture healing aid. The device, which costs between $1,300 and $5,000, is now widely used by doctors across the country. But research has cast doubt on the benefits of this treatment, the expert panel said. Although LIPUS is in common use, the new analysis suggested it has little or no influence on either the pain patients experience or their healing time. For example, data showed that LIPUS had little effect on when people with fractures returned to work or were able to fully bear weight on the broken limb. The device also doesn't appear to ease patient pain, reduce the number of subsequent operations or accelerate healing, the panel said. Based on the review, the panel advises against using LIPUS to enhance recovery from broken bones or the surgical realignment of bones. The experts added that future studies are unlikely to influence their recommendation, suggesting that researchers shift their focus to "other interventions that have a greater probability to speed up healing." Dr. Lon Weiner is chief of orthopedic trauma at Lenox Hill Hospital in New York City. He reviewed the panel's analysis and explained that the initial theory behind LIPUS was that ultrasound "mechanically stimulates bone cells to produce more bone and calcium." This was thought to help fractures to heal faster, but "this has never panned out in the day-to-day practice of orthopedics," Weiner said. "The results in these cases are inconsistent at best, which further questions the viability of this technology," he said.